Wondering what to do with Dad for Father’s Day? Send him away! We love you, Dad, and you’ve been at that desk for too long. Time for a much needed vacation! WHY: Think cruising is just for elderly ladies? Think again. All of Crystal Cruises itineraries feature an impressive list of activities for men that extend way beyond bridge, shuffleboard, and marathon eating. MAN-TIVITIES: In a single day at sea, activities abound: paddle tennis, golf lessons with a PGA professional, jogging around the wide deck, poker in a world-class casino, a work out in a fully equipped gym, and cigars and scotch during ESPN’s Top Ten of the Week, to name but a few. Over 600 volunteers are donating their time and efforts today to spruce up beaches across Phuket as part of “Clean Phuket Day.” This day of volunteerism kicks off an island-wide initiative to preserve the beauty of Phuket in a community outreach program called Keeping Phuket Clean, just in time for the summer season! 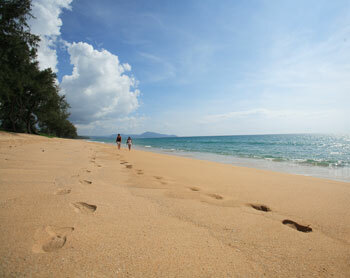 Beaches in the mix include Mai Khao, Nai Thon, Bang Tao, Surin, Kalim, Patong, Kata, Nai Harn, Ya Nui, Rawai and Panwa. Volunteers are given a clean-up zone and time to meet, where they will be supplied with garbage bags, water, and soft drinks before the cleaning fun starts! “Clean Phuket Day” is made possible with the support of almost every major hotel in Phuket, island businesses, the local beach communities, and the local government. The newly opened Anantara Phuket Resort & Spa, situated along Mai Khao beach on the north end of the island, is supporting the initiative. Over 250 volunteers are expected to arrive at Mai Khao beach for cleaning, which is great news for the sea turtles, who will make their way to Mai Khao in the winter season to lay their eggs. From Tanglewood in the Berkshires to the Grand Teton Music Festival in Wyoming, Americans seem to be wild about classical music festivals. Soaring sonatas just seem to jive with summertime and fireflies and big open spaces. Switzerland has its own summertime festival, highly acclaimed within Europe. Indeed, many aficionados see it as the classical music counterpart to Salzburg’s operatic tradition. This year, the Lucerne Festival in Summer will last from August 12 to September 19, 2009. The theme is Nature, and it will open with the “cry of nature” of Gustav Mahler’s First Symphony. The performances are held in what’s known as the KKL, or Culture and Congress Center. This strikingly modern building, designed by Pritzker Prize-winner Jean Nouvel, houses some serious acoustics. The Palace Luzern is where all the maestros (and divas) stay during their festival run. This grande dame hotel sits on the bank of Lake Lucerne, across from the concert hall, and guests who book the special festival package are whisked over to and from the concert hall by boat. This passage is a good time to meditate on the green Alps and blue lake. Perhaps think about jumping in for a morning swim, or maybe taking a sail tomorrow. 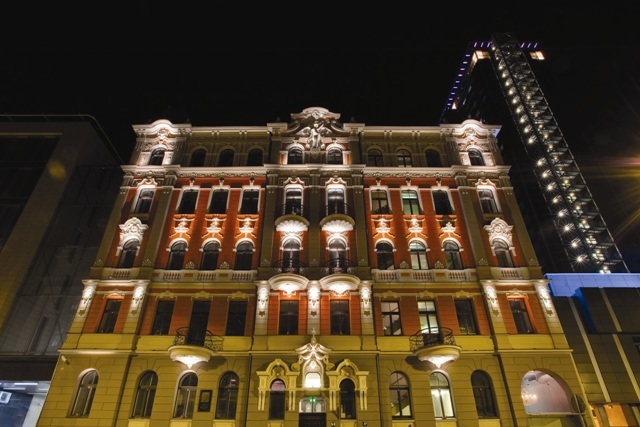 ESPA introduces its first stand-alone spa with ESPA Riga in an unparalleled six-story spa building. One of the Baltic’s key trading ports, Riga has absorbed many influences, which are visible in the medieval, neo-classical, and, most famously, Art Nouveau buildings that line the cobblestone streets. ESPA Riga lies at the heart of this fusion of culture and pays homage to its surroundings with an impressive landmark exterior. Inside, the spa design is inspired by the opposing elements “Fire & Water,” which is illustrated with deep colors throughout. The dramatic six-story spiral staircase, covered in black Cristallino tiles and bordered by a gold mosaic, serves as a focal point to begin the ESPA journey. Deep purple mosaic walls, dark tiled flooring, vaulted glass ceilings, two feature waterfalls, and a large black granite fireplace welcome guests to commence their spa journey. Male and female Relaxation Rooms, complete with walnut floors and ergonomically reclining loungers, inspire a therapeutic ambience. Thermal Suite provides guests with the opportunity to enjoy solitude with a choice of individual steam and saunas pods, and the magnificent Rondello Sauna features a skylight of amber glass. Vitality Pool, a signature feature of ESPA spas, is located on the rooftop. ESPA Riga offers a range of Ayurvedic-influenced treatments that use ancient techniques of marma point massage and herbal medicinal oils to treat the body’s Dosha and restore balance to mind, body, and spirit. In addition, ESPA has created a selection of highly effective signature treatments specifically for ESPA Riga that include the use of amber, the precious stone of the Baltic Sea. ESPA is an international spa company founded by Susan Harmsworth that conceptualizes, designs, and manages (from start to finish) hotel spas in luxury powerhouses such as Peninsula and Ritz Carlton, as well as esteemed independent properties like Gleneagles in Scotland and Reethi Rah in the Maldives. ESPA’s standard is carried in over 150 spas in 55 countries, and is currently expanding to India, Dubai, and South Africa. In addition to creating spas, ESPA has a roster of spa treatments and has developed a line of over 80 skincare and body products. The effectiveness of the products’ natural ingredients is backed by scientific research. Based in the U.K., ESPA also has offices in Miami, San Francisco, and Hong Kong. For further information and to purchase products, please visit www.espaonline.com, or call 1877 ESPA USA. 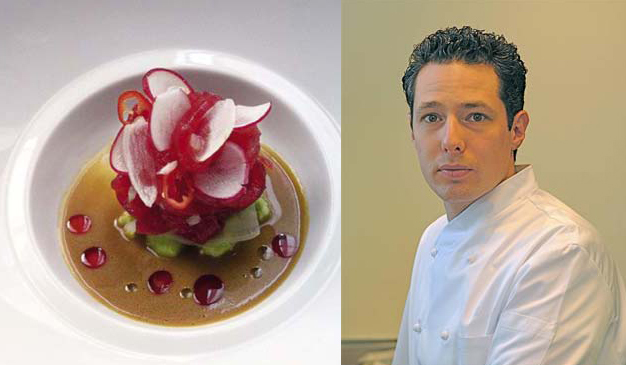 Park Hyatt Tokyo‘s New York Grill is importing something especially scrumptious this July: the current Chef de Cuisine at the famed Jean Georges in New York, Mark Lapico. No slouch in the kitchen, Lapico’s work received four stars from The New York Times, three stars from The Michelin Guide, and was a driving force behind Jean Georges winning the title of “Most Outstanding Restaurant” at the 2009 James Beard Foundation Awards. From July 6-12, he will be treating the diners of New York Grill to his exquisite meals. The contemporary French cuisine with Asian influences, from Jean-Georges Vongerichten’s many years working in Asia, are brightly re-invented in Lapico’s signature dishes, like Egg Toast with Caviar and Dill, and Yellowfin Tuna Ribbons with Avocado, Spicy Radish and Ginger Marinade. Not only does Lapico’s food work wonders on taste buds, but there is also a dash of art in each thoughtful presentation. This talented chef will certainly add something special to New York Grill. Lucky Tokyo! Memorial Day Weekend not only inaugurates the season of white clothing but also the stream of summer blockbusters. This year pits the latest installments in the Terminator and Night at the Museum franchises against each other. Yet, the movie we’re most excited to see is Easy Virtue, a Brit rom-com starring Colin Firth, Kristin Scott Thomas, and Jessica Biel. 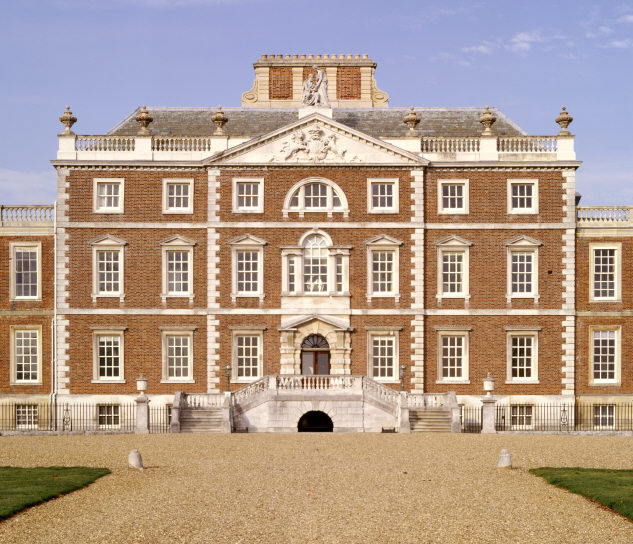 The real star, though, is sure to be Wimpole Hall, a National Trust estate in Cambridgeshire, where the film’s big hunting scene was shot. This summer and fall, take a trip full of cinematic intrigue and visit one of many National Trust properties that have played roles in the iconic films of our time. Good news for a Monday morning: the CDC has just lifted the travel advisory for Mexico. If you love Mexico, now is the moment to show that love. We know it sounds a bit cliched in this world of travel deals, but this really is a rare chance to stay in Mexico’s luxe-to-the-nth-degree resorts without draining your summer travel budget. 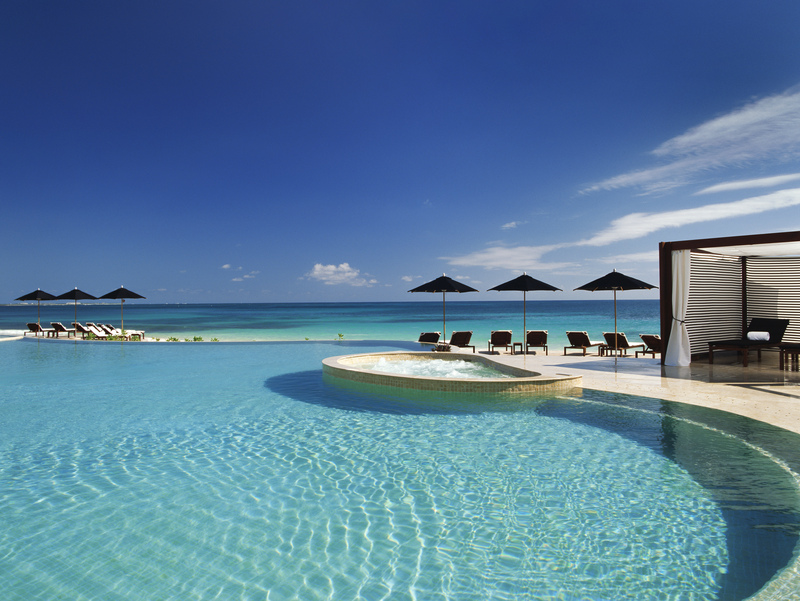 Case in point: Rosewood Hotels & Resorts just seriously amped up the “Rosewood Escapes” promotions at their two Mexico properties, Rosewood Mayakoba on the Riviera Maya and Las Ventanas al Paraiso, A Rosewood Resort in Los Cabos. The Rosewood Escapes nightly rate at Rosewood Mayakobá begins at $395 (summer rates normally begin at $590, and winter rates at $790). This offer is valid through September 30, 2009, and there is a four-night minimum stay requirement. The Rosewood Escapes nightly rate at Las Ventanas begins at $515 (summer rates normally begin at $595). The offer is valid through October 14, 2009, and there is a three-night minimum stay requirement. 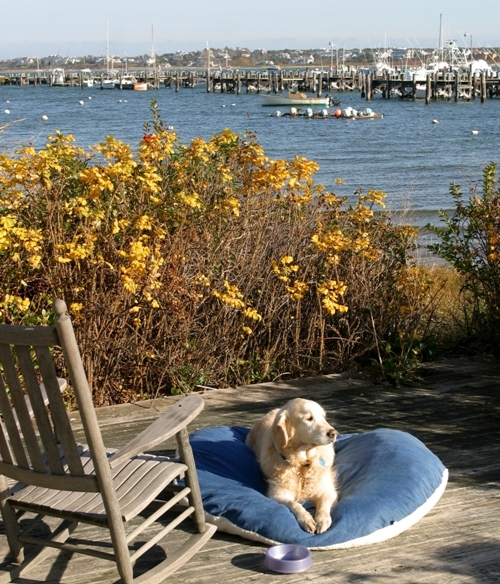 Nantucket Island Resorts has just added three more pet-friendly cottages at The Cottages & Lofts at the Boat Basin, bringing the total of Woof Cottages to eleven. Pets are a welcome addition at the Nantucket waterfront hotel where, upon check-in, pets receive the VIP treatment with a welcome basket of pet treats and play toys, food and water bowls, personalized pet tags – even Doggie sunscreen (15 SPF). Don’t fore-get to pack your clubs! Luxury liner Crystal Cruises is going over the top with the upcoming British Isles sailing, “High Teas & Golf Tees,” August 23 to September 3. 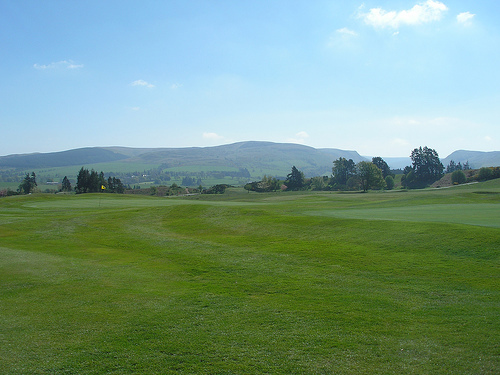 The 11-day itinerary – round trip from London – is a golfer’s dream, paying homage to some of the greatest courses on earth, including the King’s and Queen’s Courses at Gleneagles and Northern Ireland’s The Royal Belfast Golf Club, the oldest course in all of Ireland. Newer clubs on the junket include Carden Park Golf Club in Cheshire, Mount Juliet in Kilkenny, Ireland, and Druids Glen outside of Dublin. 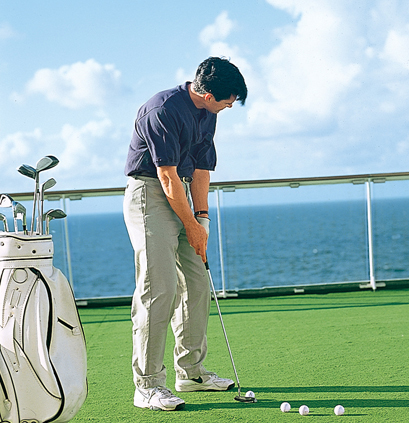 But there is more to this golf-themed cruise than what’s on the score card! Onboard, check out the specialty programming geared towards all things golf, including PGA golf pro instructions and TaylorMade demos. On every Crystal Cruises golf themed Experiences of Discovery sailing, guests will be hosted to a VIP Golfers welcome reception; receive welcome kits with scheduled golf events, balls, tees, course layouts, pars, hole lengths; invitation to join a friendly “Hole in One” challenge for a chance for a free cruise; transfer to and from each course; a 45-minute warm-up; refreshments, and complimentary storage and cleaning of clubs and shoes after play. For the non-golfers, the extensive onboard programming will ensure that there is never a dull moment while the golfers are at bay, from lectures, fitness and wellness offerings, spa treatments, book clubs, dance lessons, and classes offered through Crystal’s ComputerUniversity@Sea. While ashore, pay a visit to the Guinness Storehouse or Old Jameson Distillery, or have lunch at the exquisite Waterford Castle after touring the crystal factory that bears its name. Fares for this sailing begin at $5390, per person, double occupancy, and do not include the optional golf excursions. Guests will also receive the new All Inclusive – As You Wish $1,000 per person shipboard spending credit, good towards virtually anything, including the golf outings. For additional information on this itinerary, click here. Ever wondered where the Beatles gathered to rehearse and write their songs or even what John Lennon’s childhood bedroom looks like? Travelers “across the pond” can enter these spaces and tour many others that were once occupied by the likes of Winston Churchill, Sir Isaac Newton, and, yes, even an American – George Washington! These places are protected and preserved by the National Trust of Great Britain. Americans visiting should be sure to join The Royal Oak Foundation – the U.S. membership affiliate of the National Trust, which protects and conserves some of the country’s top gardens. Royal Oak membership, just $55, grants free access to such homes with famous past residents as well as all other Trust properties – over 300 historic houses and gardens, 700 miles of coastline, and 620,000 acres of open countryside. Who would have thought it was in a little terrace house in Liverpool that one of the greatest musical groups in history met? Sure enough on Forthlin Road at Paul McCartney‘s childhood home, the Beatles congregated to rehearse and compose many of their songs. Not too far away is Mendips, John Lennon‘s home. Both are filled with photos and memorabilia, making this just as much of a “must see” as Abbey Road. Watch out for that falling apple! Sir Isaac Newton, one of the most famous scientists in history, must have learned this lesson the hard way, here, at his family home, where he developed his remarkable work about life and gravity. Visitors can actually visit the famous apple tree and discover the scientist’s ideas in the hands-on Science Discovery Centre on site. This was family home of former Prime Minister Sir Winston Churchill, who lived here from 1924 until his death. 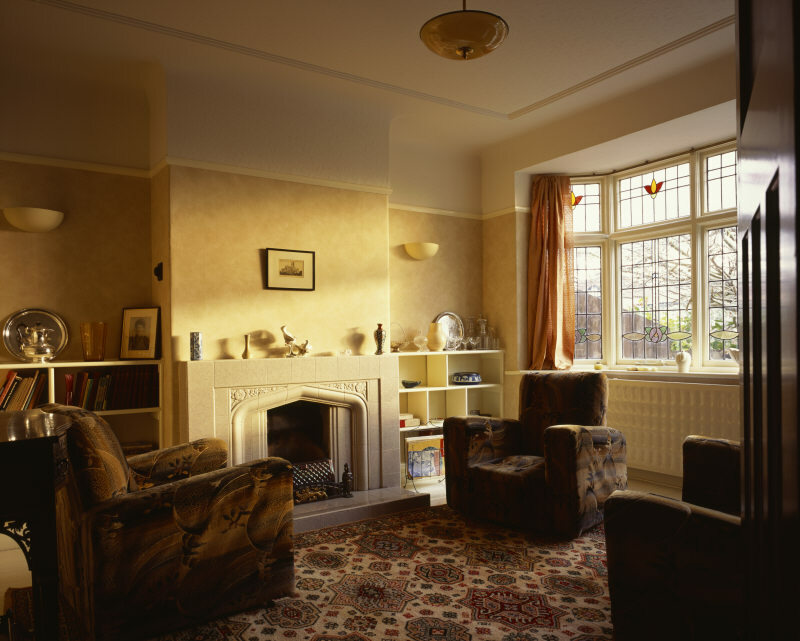 The rooms and gardens remain as they were when he was in residence, with pictures, books, maps, and personal mementoes from his career and wide-ranging interests. Also on view in his garden studio are many of his own paintings. It’s all in the name. OK, so George Washington never actually slept here, but his ancestors did! This 17th-century stone manor house includes portions of the original medieval home of Washington’s ancestors, and it is from this house that the family took its surname. Inside is an exhibit on the first U.S. President. Guests may wander through the garden on the property; see if you can find any cherry trees! Florence Nightingale was a regular guest at the home of the Verney family (Nightingale was Sir Harry Verney’s sister-in-law). Today Claydon House is home to many of her personal belongings, and new this year is an exhibit entitled “In Sickness and in Health,” which chronicles health care during the late nineteenth and early twentieth centuries through the family’s archives and relies heavily upon Nightingale’s writings.